There is no doubt over the verity that you worked hard for that boast worthy mark sheet. It is indeed the result of all your sleepless nights, endless compromises, and struggle throughout the years. So, where do AMCAT certificates come to the scene in spite of that? Let’s discuss the other side of the set-up to understand. A job is done with skills, you may or may not be the topper but you need to have the skill to practically perform a task. And, while you may have the required set of skills, there is no other way to verify and reflect the same in your resume. AMCAT certificates do that for you and make it easier to look for fresher jobs. If you are wondering why your job search isn’t yielding any results, this might be the very reason. It’s common and expected to be proud of your hard-earned degree. But it is only when you contend for jobs that you realize that there are hundreds of others who are standing parallel to your score line. It, thus, becomes highly competitive to crack a job with only a handful of openings and a room full of applicants. And, it’s much more stringent for fresher graduates as there is no experience to differentiate caliber. So, getting certified for your skills can help significantly in adding to your competence for a given job role. You could be proficient in drawing flawless sketches while your job doesn’t demand any such talent. While mentioning it in your resume would be a decent idea, mentioning along with the job-relevant skills can question the level of proficiency when both skills are compared. 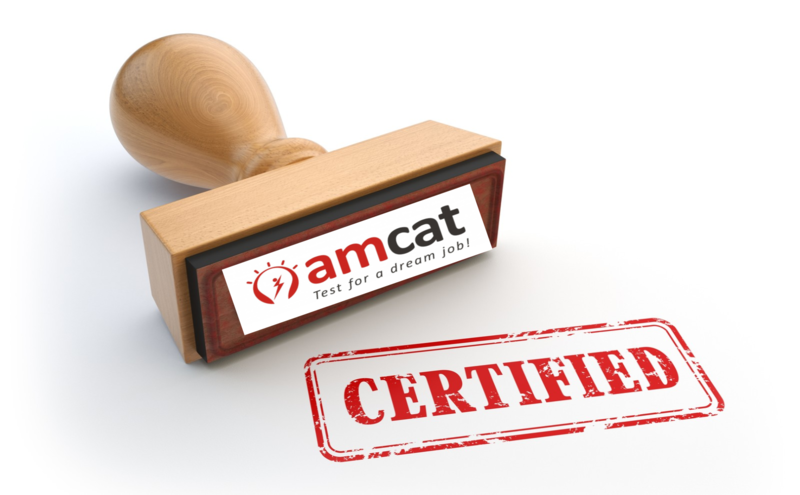 Getting an AMCAT certificate for job-relevant skills can help the recruiters to judge you better by endorsing them. It’s one of the best job search tips you will get. Empowering your resume is the key to make it to interviews and higher selection procedures. But for freshers, this simple task can be quite challenging. An empty resume can reflect a weak application. Thus, getting certification can greatly alter the first impression your recruiter forms from your resume. Do you know How to create your job resume in just half an hour? 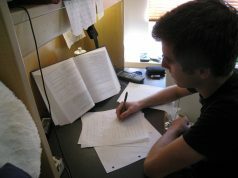 As a fresher, it is most difficult to get a decent job without any experience in the given field. Obviously, you aren’t supposed to have work experience as a fresher, yet recruiters emphasize on the need to have it in any form. Be it internships or at least skills that are required to perform a job efficiently. Along with meaningful internships, skill certifications can be a great idea to work your way out from the cath 22 situation of ‘no job no experience, no experience no job’. Getting a job is no task, but getting a job that’s worth all your hard work is the primary challenge. To know the demands of the industry and how to cater to them solves out a great part of the problem. If you aren’t getting a job, it doesn’t always mean you aren’t capable enough. It is quite possible that you aren’t focusing much on your application and related implications. 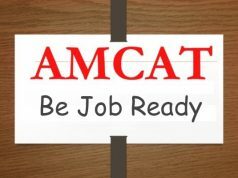 AMCAT certifications can considerably add up to the lacking factor and help you present a more competent job application. Visit the AMCAT certification page and choose relevant skills out of the accessible assortment. And who knows, the next call might be the end to your seemingly never-ending job search.